Weighs 7,672 lbs. - 69" wide - 98" tall. 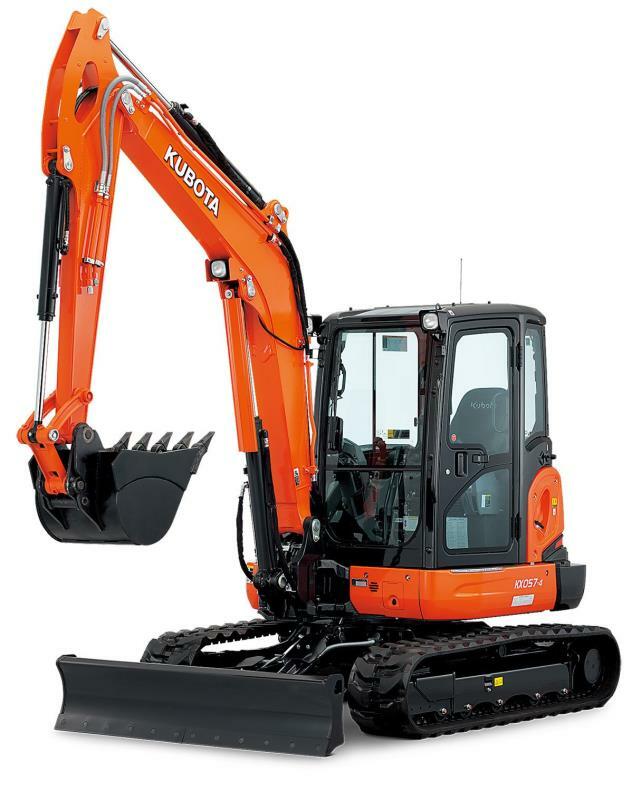 Easily switch from backhoe controls to excavator controls. Equipped with a hydraulic "thumb" on the boom. Lift Capacity over front, blade down: 3,334 lbs. Lift capacity over side: 1,412 lbs. Maximum reach height: = 16' 1". Maximum digging depth: = 10' . Maximum dump height: = 11' 5". Maximum digging reach (from center): = 17' 2". Heat and air conditioned cab. Trailers and/or same day delivery available. 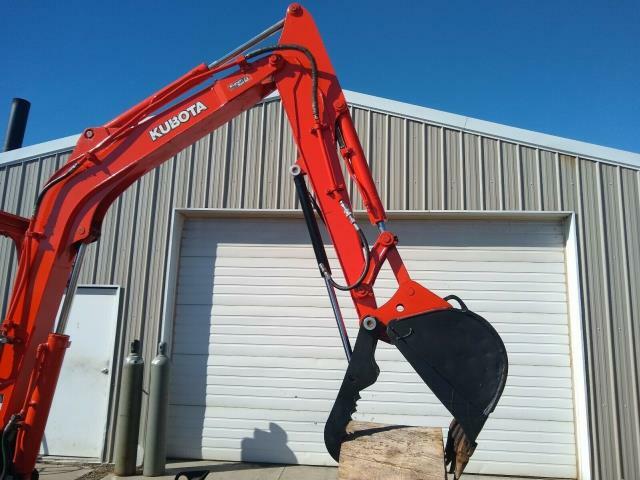 * Please call us with any questions about our excavator 35 series w/thumb rentals in Oak Grove MO, Blue Springs MO, Independence MO, Lexington MO, Odessa MO, Independence MO and Western Missouri.